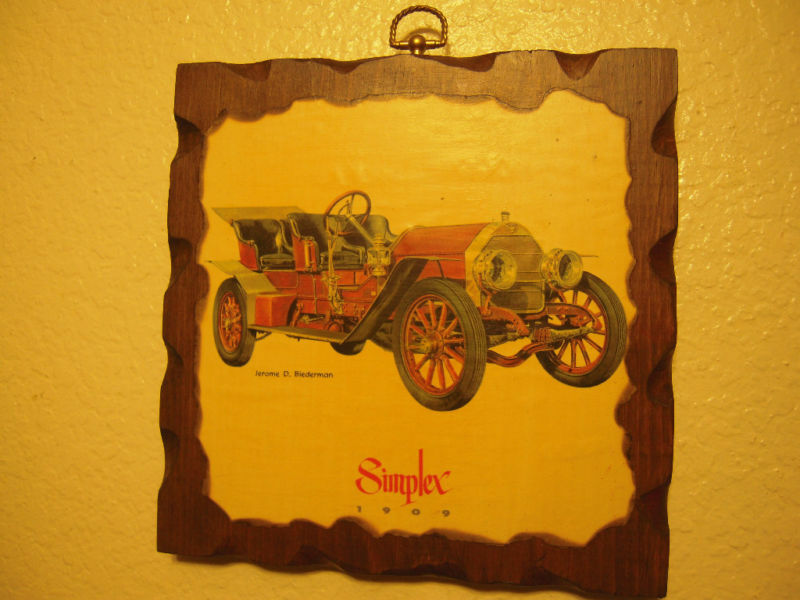 Here is a nice Print on Wood Plaque by Jerome D. Biederman SIMPLEX 1909. The paper print on the plaque has some scuff marks. 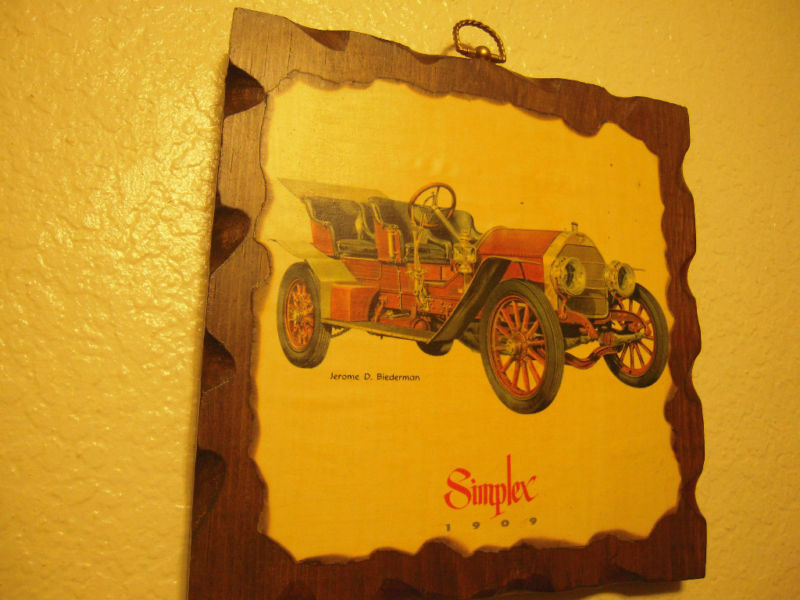 The plaque is made of nice carved wood. The plaque has some historical description in the back. 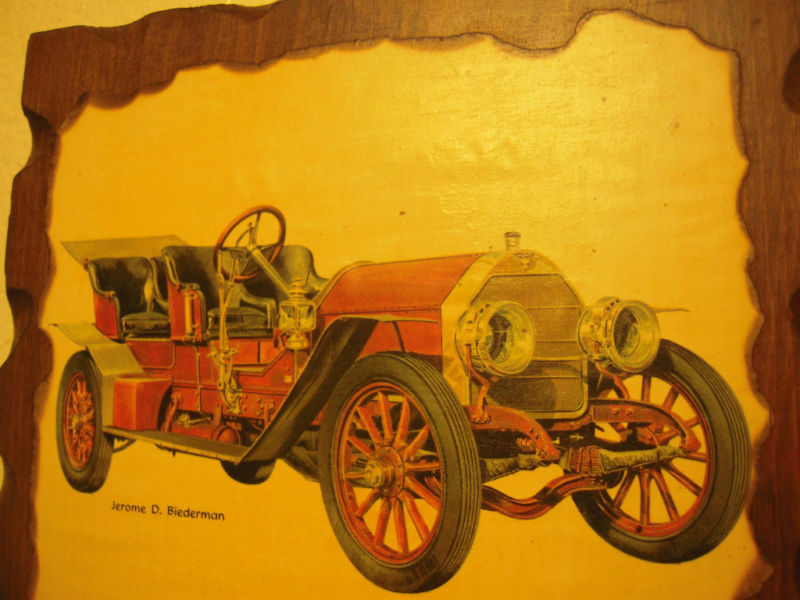 The plaque hangs on the wall. The plaque measures 9.5" in height X 9.5" in length X about 1" thick. There is some wrinkling on the print.